Republican Party primaries aren’t divisive: The GOP’s civil war hasn’t been as great as expected. Why Is the GOP’s Civil War So Civil? So far the GOP hardly seems like it is at war with itself. In fact, the party’s primaries are producing strong candidates for the fall. Senate candidate Ben Sasse won the Republican primary on Tuesday in Nebraska. The civil war in the Republican Party is so civil. At least on the Senate battlefield, the much-anticipated and contentious intraparty fights are not happening. After the GOP primaries in North Carolina and Nebraska, the grassroots conservatives of the Tea Party and elites of the GOP establishment can both claim victories, but the real winners for the moment are the forces of order. Several months ago, this seemed unlikely. Republican strategist Karl Rove launched a new effort he said was designed to support candidates who could win elections. He said sloppy, unproven candidates had cost the GOP several Senate seats they should have won in 2010 and 2012 in Delaware, Nevada, Colorado, Indiana, and Missouri. Those who claim to speak for the grassroots charged that Rove was trying to drown out the voices of true conservatives. The hashtag #crushrove started trending. Democrats rejoiced. They hoped contentious primary fights would produce exploitable examples of Republican extremism as candidates competed in extravagant purity tests. They also hoped the process would elevate grassroots candidates who were bad politicians prone to saying crazy things. So far, this hasn’t happened either. On Tuesday in Nebraska, Senate candidate Ben Sasse won the Republican primary. Movement conservative elites like Brent Bozell and Erick Erickson cheered it as a victory in their battle against the forces of unprincipled capitulation. * It’s true, to a point. Sasse had all the right backers, and he was attacked by a super PAC associated with Minority Leader Mitch McConnell (who had his own issues with Sasse), but Rove’s American Crossroads didn’t enter the race, and the back and forth never rose above the standard acrimony of politics. In part, that’s because Sasse’s opponent Shane Osborn was hardly Jeb Bush. He had the support of local Tea Party groups, conservative veteran Phyllis Schlafly, and FreedomWorks. In an example of how thin the distinctions have become, Sal Russo, the Republican consultant who co-founded the Tea Party Express, made the case for Sasse over Osborn to my colleague David Weigel based on Sasse’s campaign organization, not his purity. “This is not 2010, when we thought it was important to take a stand and reflect the disappointment people had with both parties,” said Russo. “We need viable candidates now.” FreedomWorks, which had attacked Sasse as a supporter of Obamacare, then switched to endorse him. As a late-game ploy, Osborn accused Sasse of supporting amnesty for illegal immigrants. That put Osborn, the supposed establishment candidate, to the right of Tea Party favorite Sen. Marco Rubio. Nebraska is a safe Republican state. Perhaps the forces of the establishment would have jumped in more heavily if the march to the majority in the Senate were threatened. But that’s not a certainty. Sasse is no Christine O’Donnell or Richard Mourdock, two of the candidates often cited as being substandard. 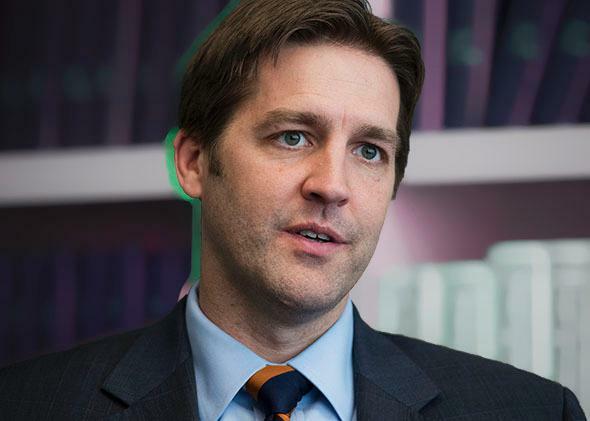 Sasse has political skill, an Ivy League education, and credentials as a Bush administration veteran. He will win the general election in the heavily red state and come to Washington as a Rand Paul or Ron Johnson type of senator—what used to be known as simply a good movement conservative. (Sasse, who describes himself as a “nerd” and “autodidact,” may also increase the populist egghead caucus to two). In Alaska, American Crossroads and the Club for Growth are supporting the same candidate, Dan Sullivan, another veteran of the Bush administration. Next week McConnell is likely to beat back his Tea Party challenger—by quite a lot if the polls are to be believed. None of McConnell’s apostasies on the debt limit or the government shutdown appear to have hurt him. Democrats hoping for primary fireworks are still holding out hopes for Iowa and Georgia, where a close race could lead to a runoff, though in Georgia the fringe candidates are at the back of the pack. Democratic strategists also argue the lack of public intraparty spats means that the most conservative viewpoints have been thoroughly internalized, making the winning candidates vulnerable on issues from the minimum wage to Medicare, where they say Republican orthodoxy is out of step with general-election voters. Maybe, but in these coming fights, Democrats will be debating GOP candidates who can build a winning coalition, raise money, and have political experience. That’s an improvement. The Republican Party has not banished its pressing internal debates. Immigration, Common Core education standards, and the role of U.S. foreign policy overseas can still stir a rousing argument. But these arguments are not controlling the Republican primary process. Yes, GOP elites and grassroots conservatives are claiming victory in their struggle against each other. Ideological warriors are always claiming victory, and they believe the stakes are real. Plus, claiming resounding victory is good for fundraising. But for those who were rooting for both sides to lose in a fit of chaos, there hasn’t been much to cheer about yet. Correction, May 15, 2014: This article originally misspelled the last names of Erick Erickson and Kay Hagan.